Which markets have the greatest potential for bitcoin adoption? With over $250m of venture capital invested in bitcoin startups to date, much is at stake in understanding which markets will prove most fertile for bitcoin. In addition, many governments and regulatory agencies are seeking to better understand the economic opportunities presented by bitcoin along with the perceived risks. The new Bitcoin Market Potential Index (BMPI) is the first attempt at providing a rigorous answer to the above question, assembling a new data set to rank the potential utility of bitcoin across 177 countries. The BMPI can be helpful to entrepreneurs and investors planning international expansion, regulators or economic development agencies wondering whether bitcoin will gain traction in their country, or anyone who wants a better understanding of how bitcoin may progress geographically in the months and years to come. How can bitcoin adoption be forecasted? Sitting at the fast-moving intersection of technology, policy and economics, bitcoin is both a fascinating and complex research topic. One of the first questions that arises in constructing a forecast of bitcoin’s potential adoption is what kind of adoption should the index measure? For example, should the BMPI focus on where bitcoin has the most potential to be used as a store of value? Or should it measure bitcoin’s commercial potential as a medium of exchange? And which of these two is more likely to influence bitcoin’s geographic progression? The answers to such questions have a significant influence on the choice of index variables and weightings. The BMPI is intended to forecast bitcoin’s total potential adoption and thus includes data which relate both to bitcoin’s function as a store of value and as a medium of exchange, as well as a technology platform. The data set is structured in such a way that it can also be used to construct alternative versions of the index around different scenarios or more specific use cases. For example, one may believe that bitcoin does not have as much immediate potential in the international remittances market as compared to its use as an alternative investment vehicle or store of value. Or one may feel that Darkcoin is going to supplant bitcoin as the preferred cryptocurrency in the black market and that therefore the size of the informal economy in each country is not a significant factor in bitcoin adoption. Such scenarios can be incorporated into alternative calculations of the BMPI by removing the corresponding variables and or adjusting weights. Which data is most closely linked to bitcoin adoption? A drunk on his way home from a bar realises that he has dropped his keys. He gets down on his hands and knees and starts groping around beneath a lamppost. A policeman asks what he’s doing. In other words, economists often are forced to use available data rather than the data which, if it did exist, has a stronger relationship to the subject of study. With bitcoin it could, for example, be quite useful (and more precise) to examine which cities or regions may see the fastest bitcoin adoption. However, much of the relevant data is only available at country level and, as a result, the BMPI analysis is a country-level index. A further challenge is that even when relevant data exists it only exists for a small subset of countries. For example, publicly available smartphone penetration data – which could be quite helpful in understanding bitcoin adoption – is unfortunately only available for 48 countries. If we were to exclude countries which do not have smartphone penetration data from the BMPI then the index would lose nearly 130 countries. Another data point which could potentially be helpful for understanding bitcoin adoption is how quickly social norms spread across different countries. After all, using bitcoin requires at least some change in existing behaviour. However, this particular study only covered 25 countries. In the interest of trying to ensure the BMPI was comprehensive in terms of countries covered, an effort was made to select index variables with available data for a large number of countries. The more data the better? How should data be weighted? When it comes to indexes more data does not always equate to ‘better’ results. However, given the complexity of forecasting bitcoin adoption every effort has been made to include the variables which may have the greatest influence on bitcoin’s progress. Adding additional variables to an index can also help provide a more nuanced ranking of countries. On the question of how different data should be weighted in the index, can it be reasonably claimed that some variables will be more important to bitcoin’s future than others? If yes, how much more important? While weighting choices can be controversial, it is often useful in making indexes more realistic, and some variables in the BMPI are therefore weighted more strongly than others. Some will certainly disagree with the BMPI’s weighting choices, and it is likely that the weightings will be adjusted over time as we learn more about bitcoin adoption. Meanwhile, unlike other bitcoin indexes which do not disclose their weightings it can at least be said that the BMPI weightings and methodology are openly documented. In constructing the BMPI a high priority was placed on finding both reliable and recent data. BMPI data also comes from a variety of different sources, including governments, multinational agencies, private companies and scholarly research. In total nine principal sources of data were used to construct the BMPI (Table 1). In some instances the data sets from Table 1 were supplemented or updated to reflect recent events. For example, Reinhart and Rogoff’s financial crisis data were updated with this week’s sovereign default by Argentina. 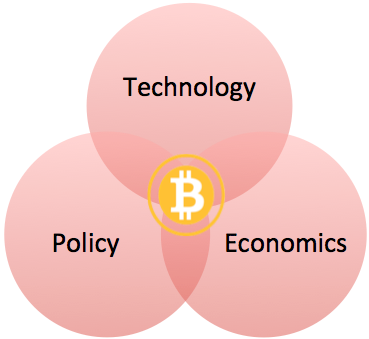 The BMPI is comprised of 39 variables deemed important to bitcoin’s potential for adoption. These 39 variables are grouped into seven equally-weighted categories to calculate BMPI’s rankings (Table 2). A full discussion of the relationship between the above categories and potential bitcoin adoption is impractical here due to space constraints but it is useful to highlight some examples. Bitcoin is fundamentally a technology and the level of technology adoption in a country, as reflected in measures such as internet use and mobile phone penetration, will have an important influence on bitcoin adoption. In addition, the memory of recent financial crises, particularly hyperinflation or a currency crisis, will also have an influence on adoption. The greater the degree of technology penetration, frequency of financial crisis, etc for a particular country then the higher that country ranks on the BMPI. Why is bitcoin regulation not included in the BMPI? Just as the choice of variables included in the BMPI must be defended some variables which have been omitted from the BMPI also require justification. For example, one category which was excluded from the BMPI but which could have a significant influence on bitcoin adoption is bitcoin regulation. The reason why bitcoin regulation was excluded from the BMPI for now is two-fold. First, bitcoin regulation is a recent development and still evolving. Second, and perhaps more importantly, bitcoin regulation may end up cutting both ways in terms of forecasting the likelihood of bitcoin adoption. On the one hand, more aggressive bitcoin regulation in countries such as Ecuador and Bolivia may ultimately serve as a significant barrier to bitcoin’s prospects in those countries. However, aggressive bitcoin regulation could also provide a signal from regulators about bitcoin’s positive adoption prospects in that country, as perhaps is the case in China. In sum, it is too early to tell how to score bitcoin regulation and this category has therefore not been included in the overall BMPI rankings. The categories in Table 2 also comprise the sub indexes of the overall BMPI, and these sub indexes allow for micro comparisons. For example, we can compare the rankings in a sub index like Bitcoin Penetration, where the United States is ranked number one by a significant margin over number two Netherlands, with rankings in other categories. The Bitcoin Penetration sub index is laid out in detail in Table 3. As noted earlier, not all BMPI variables are equally weighted. For example, the score for the ‘Global bitcoin nodes’ variable is broken down into two equally weighted sub variables – total bitcoin nodes per country and bitcoin nodes per capita. Sub variables were utilized in this case so that small countries with a high per capita number of nodes, such as Iceland, are not disadvantaged in the overall index ranking due to the small size of their population or economy. A summary of the BMPI dataset can be found in Table 4. As a point of reference, the widely cited Legatum Prosperity Index includes 89 different variables for 142 nations around the world. The 10 countries with the highest potential for bitcoin adoption according to the Bitcoin Market Potential Index can be found in Table 5. Given the BMPI’s criteria it is not surprising to see Argentina ranked number one. The country suffers from persistently high inflation, has a large informal economy and a history of recent financial crises. In addition, Argentina has a relatively high degree of technology penetration and controls on the movement of capital. 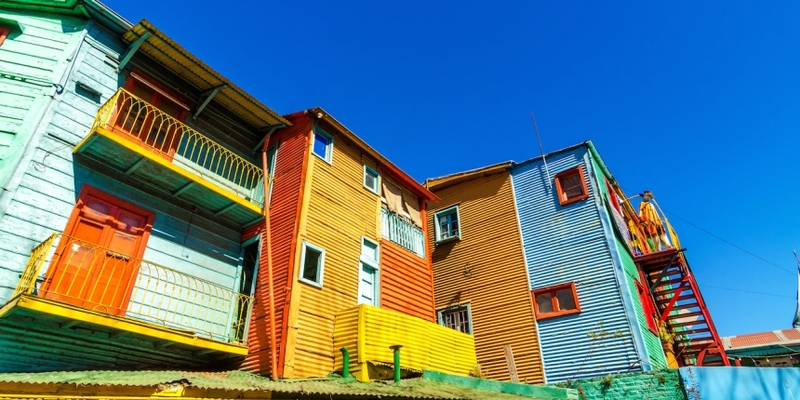 Argentina also just defaulted on its sovereign debt for the second time in 13 years. While external sovereign defaults have a relatively minor weighting in the BMPI this recent development is reflected in the BMPI rankings. Like Argentina, number two ranked Venezuela also suffers from relatively high inflation and frequent financial crises, while number three ranked Zimbabwe has the largest informal economy (black market) of any country in the dataset at 63% of GDP. A country which often features in discussion of bitcoin adoption but which is just outside of the top-10 is China, which is ranked number 13. China’s ranking is brought down by its relatively small black market; according to Elgin and Oztunali (2012) and other shadow economy researchers – ie Buehn and Schenider (2012), Schneider, Buehn and Montenegro (2010) – it is estimated that roughly 10% of the economic activity is conducted informally in China. In contrast, near the bottom of the overall BMPI rankings at number 167 is Ireland, which recently hosted a high-profile bitcoin conference. While Ireland scores well in some categories, such as technology and bitcoin penetration, the country has wrestled with deflationary pressures in recent years and also has a relatively limited set of restrictions on the flow of capital. Dublin is a global tech hub, however, and the fact that the BMPI does not include a separate tech hub variable brings down Ireland’s ranking. A full list of the BMPI rankings as well as a more detailed discussion of the index methodology, data and sources is available here. While indexes like the BMPI can provide a useful reference point to better understand factors which may influence bitcoin adoption it is important to acknowledge the limitations that are inherent in the construction of any such ranking. Countless variables not included in the index will influence adoption, data sets are often incomplete, and index methodology choices can have a significant influence on rankings. More will be written about the Bitcoin Market Potential Index in the weeks to come on CoinDesk and in the State of Bitcoin reports, and the BMPI will also be updated periodically as new data becomes available. Any surprises in the BMPI results? What data is missing from the BMPI? Share your thoughts in the comments below. Here the term ‘adoption’ means use and is captured in metrics such as number of bitcoin accepting businesses, number of wallets, and other use metrics. Unfortunately country level data does not exist for many of these adoption metrics.